Hello! 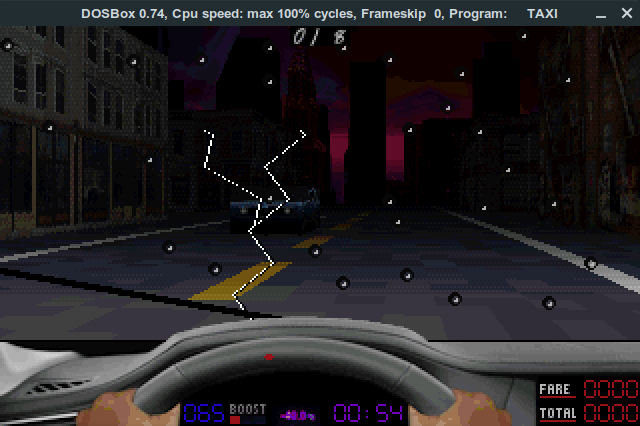 I am pleased to release this new development preview of my upcoming game, Death Taxi 3000. This is a mostly technical release, with general tweaks and optimizations, and adding previously missing features for the CAREER MODE - if you already own the full game, go check it out! I have described these changes in depth on the previous devlog, which also touched on some of the improvements that were on the works for the DOS version. I managed to sneak in quite a few more in time for this release! Added early PC Speaker support as an alternative, if you have no sound hardware or just like having your ears bleed! As usual, the full changelog is in the downloads and instructions should be on the download page. Thanks once again for the support and stay tuned for the next updates, which will focus on adding content and fleshing out the gameplay further!